A purely outdoor bred line of cinderella 99. This line had opened up the genetic possibilities to encompass some diversity in the line. You will get smells ranging from fruity/pineapple/grapefruit/citrus, as well as some fuely/skunky/earthy. Regardless of the smell, they will be potent, and will yeild very well, with the typical cinderella 99 high. These grow great indoors as well, with very fast flowering. An indica dominant plant that is ready in late August. It has some really sticky buds that have a citrus smell with earthy/fuel undertones. The smoke is thick with a strong relaxing high. 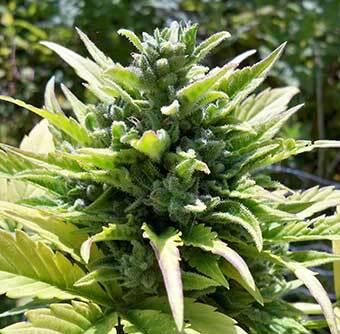 Its buds are dense with a great mold resistance. It will do well even during the worst seasons, and will provide you with a good yield. 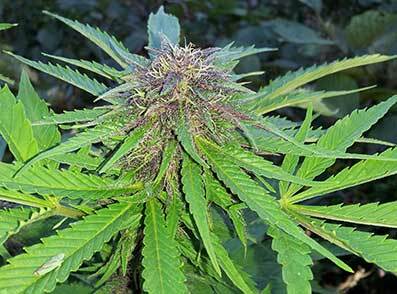 These plant will turn into some nice bushes if given good conditions, and yield 3 plus ounces of sticky buds. This is a outdoor bred line of erdpurt with lots of beautiful color variations. 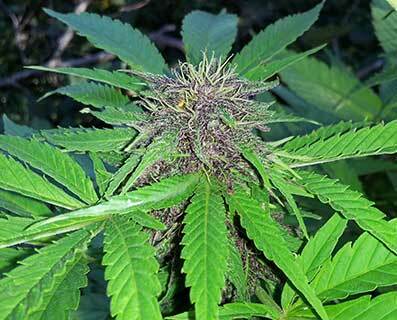 Plants will usually turn purple and red, and in some cases extremely dark. It is a very nice indica that will help you relax at the end of a long day. This plant will be average height with very large leaves, and have ranges of smells from fruity to musky. Erdpurt is also known to contain CBD. This is an F1 cross of two of our favorites, our stank strain, and Bomb, a local cutting. Bomb is a very hardy and very strong herb, sometimes too strong for the novice. It has thick smoke that expands in your lungs with flavours of sour skunk, and will make you cough out a lung. Soon after, you will realize you are sitting around drooling on yourself. We Crossed this to our stank strain, which gives it a more balanced high, just as potent but starts off soaring, then ends in narcotic bliss. Extreme amounts of sticky resin on this one. It also shortens the flowering time slightly, and it should be ready by mid September. A big plant with big buds. Its buds are really sticky and smell skunky with hints of pine and citrus. This plant will get big with a nice Xmas tree shape to it, and a massive main cola yielding a 1/2 lb or more good conditions. The plant is extremely hardy to cold and humid conditions, and has a very good mold resistance. The buds are thick, dense, crystally, and large. This strain would be great for a main crop, given its yields and reliability. 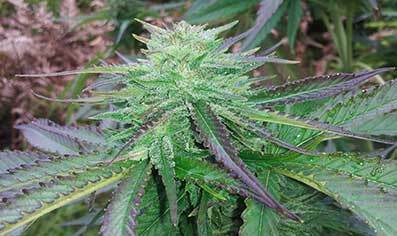 An indica dominant plant with big chunky buds that are very resistant to mold. It will reward you with a pile of sticky buds that have a piney smell with fruity/herbal undertones. This is a great strain for guerilla growers, and will be ready in early September with some phenotypes going until mid September, giving you 1/4 lb to a 1/2 lb of tasty potent buds. A very early maturing, pure 100% sativa. 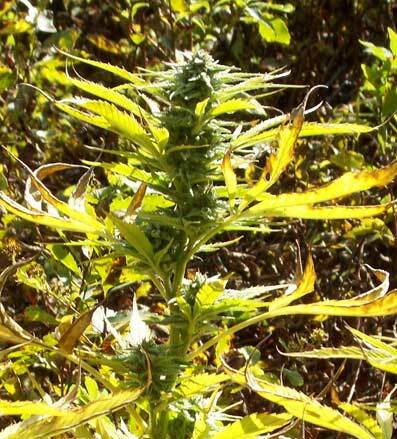 These seeds were given to us in 2005, as a hybrid of two local landraces from South Africa. This plant is probably a hybrid of Durban Poison, since it has a slight lycorice, and sharp sour taste, with earthy and spicy notes. The high from this strain is strong and an old school sativa type high. This one will definitely keep you going through out the day. 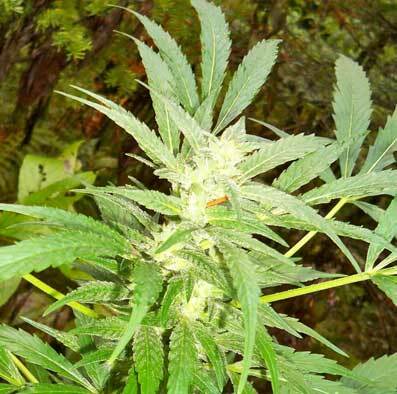 It will grow tall and christmas tree shaped like a typical sativa, and will provide a bountiful harvest of buds with large amounts of resin in early to mid September. Its hardy to mold and fungus, and has been acclimatised to the Canadian climate over 3 generations. Short Term Amnesia x (Low Rryder / Thai) This is a cross of a long flowering thai cut, that we dropped some LR pollen onto. The resulting cross was bred until F4 for auto flowering, and then crossed over to Short term Amnesia to give a more consistent early finish (about 12-13 weeks outdoors) This cross can get quite big, with some specimens getting bigger than 100cm. But for the most part, they grow to 70-90cm. They grow into a nice christmas tree shape yielding around 1/2 - 2 ounces given the proper environment and pheno. When you get close to the plants, you can smell hints of herb and spice, along with a lemon/tangy smell. There are a few phenotypes that will smell of grapefruit and some that have hints of orange. The spicy lemon phenotype seems to have the most sativa influenced high, and slightly airy buds than the grapefruit and orange phenotypes. This stuff is a great daytime smoke, as it gets you happy and lifted. 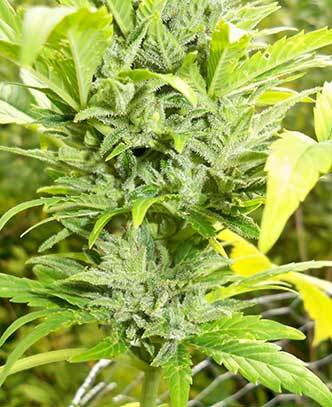 From the Thai influence, there are a few plants that will be have a clear and electrifying high, that is very unique. These tend to be the airier phenotypes, and a more lemon/spicy smell. This stuff is great for people who enjoy the sativa type high, that do not live in locals that growing a sativa is possible. This is our highly inbred sativa leaning hybrid. 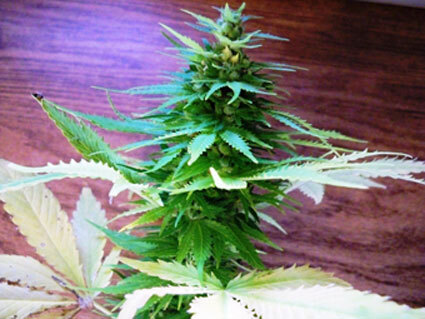 It is a very early semi autoflowering plant. 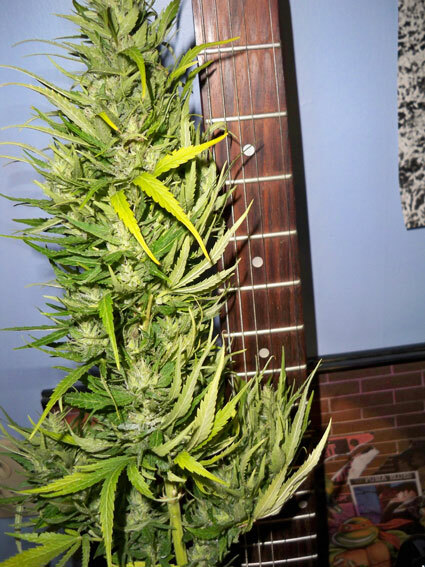 This is a strong plant with a long lasting and slightly paranoid high. This is not something to smoke before bed. The flavours from this plant range mostly of rotting fruit to fruity with a hint grass and spice. The smoke is smooth, and the taste on the exhale is quite pleasant, especially with the fruitier phenotypes. This plant will produce lots of resin over its leaves, making it a great plant to make hash with. This plant has been bred outside for several generations, and is acclimatized to the Northern climate. Most plants will finish in August, with some going a little longer yeilding a good chunk of strong sativa smoke. This is a great stealth plant with webbed leaves. Staying very short and not looking like your typical cannabis plant, this would be great for someone trying to stay incognito. Plants tend to have citrusy and fuely smells, along with some skunky earthy plants. This one is available in extremely limited quantities, so get them quick! This is a mix of "old school" auto genetics, giving smaller plants than some of the autos today. They are f1/f2/f3 crosses of master low, auto blueberry, diesel ryder, lowryder, lowryder #2, auto ak, and sour 60. This will give you a nice sample of what auto strains can do, and is a great place to start a hunt to make your own auto strain. (Photo is a diesel ryder full of resin).